Has the New Urbanism outlived its original purpose? The movement’s charismatic founder, Andrés Duany, seems to think so. Spending four days embedded with the New Urbanists is one long exercise is cognitive dissonance. Thirty years after Duany first formulated their basic principles, they have far outgrown their image as the advocates of quaint cottages (see: Seaside, Florida, Celebration, Florida) and are really in the business of finding spatial fixes to social challenges, whether public health, water scarcity, affording housing, disaster relief, or the future of good. What they can’t agree on is the scope of the problem — should they be making the best of suburban America’s bad situation, or building lifeboats for the end of the world? Nowhere was this cognitive dissonance more apparent than in the session introducing what Duany might as well call the the New New Urbanism: agrarian urbanism. 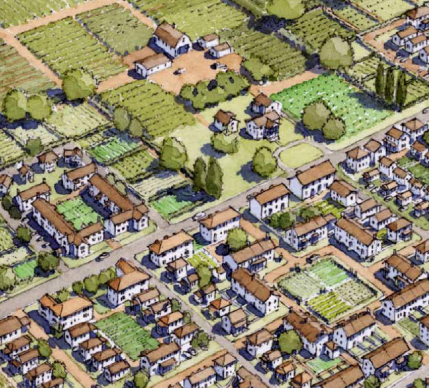 It all sounded quite reasonable, given the demographics of Michael Pollan readers and Whole Foods customers, and has already proven quite profitable too, as the developers of the agrarian New Urbanist community Serenbe, Georgia, could attest. But underlying Duany’s modest proposal are darker suppositions. In a recent interview posted on YouTube, Duany compares this moment to August 1914, with the Great War underway while everyone is in denial believing the Belle Époque will return. With “megastuctures” like banking and industrial agriculture and poised to collapse, perhaps the next urbanism will be single-story buildings built on a cash (or barter?) basis, while jitneys and “bottom-up” forms of transportation will replace both cars and mass transit. Follow this dystopian line of think far enough and you will eventually arrive at the dystopian worldview of James Howard Kunstler, who spoke on the same panel as Duany. Kunstler’s rhetorical style is reminiscent of the prophet Jeremiah, and he has function as the New Urbanists’ id since his breakthrough book The Geography of Nowhere. These days he’s one of the most prominent collapsars, having sketched a roadmap to the Dark Ages ahead in The Long Emergency and rewriting The Road twice since then. “I have a harsher view of the situation we are actually in,” he informed the audience, before declaring that “techno-grandiosity” and “organizational grandiosity” will not be enough to save us from the Long Emergency. 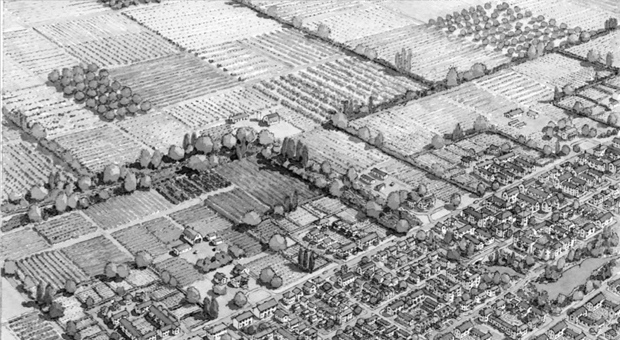 “Farming, at one level or another, is going to be your occupation.” Walking through historical forms of agrarian communities — plantations, prison farms, hippie communes and Soviet collective farms among them — he dismissed vertical farming as impractical and dense cores like Manhattan as impossible in the coming age without oil. Overpopulation would take of itself. “There’s a reason we don’t talk about population is because we’re not going to do anything about it. There isn’t going to be any protocols or policies. There will be the disasters and famines, and we don’t how much social disorder will stem from that.” That he was predicting this in the air-conditioned Grand Ballroom of the downtown Hilton in Atlanta was not lost on him.